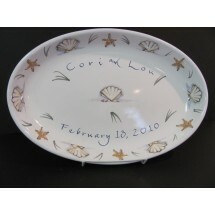 Personalized to your specifications. These handmade serving bowls make a wonderful keepsake gift for a special occasion such as a wedding, aniversary or birthday. This is a gift they will cherish throughout the years with fond memories. Not only beautiful display pieces, but functional as well ! 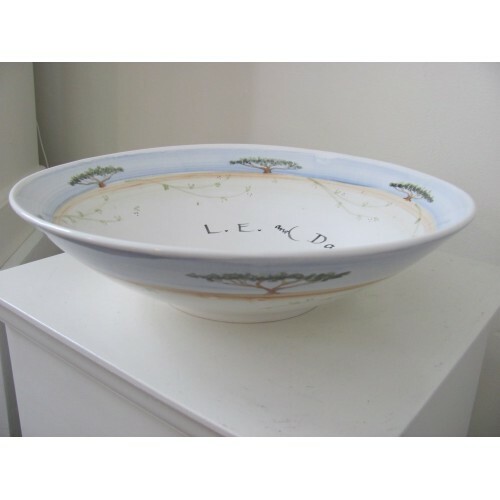 All pottery is hand-crafted and hand-painted by the Flower Brook Pottery potter/artist Janno Gay and made in Dorset, Vermont. The celebration bowl is food, dishwasher and microwave safe. 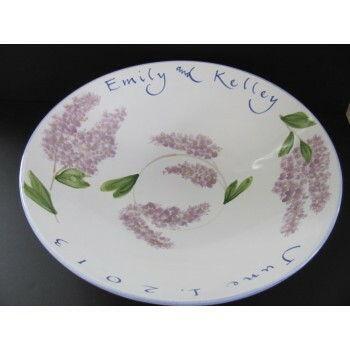 Flower Brook Pottery offers collectable pottery, for display and pottery for everyday use. 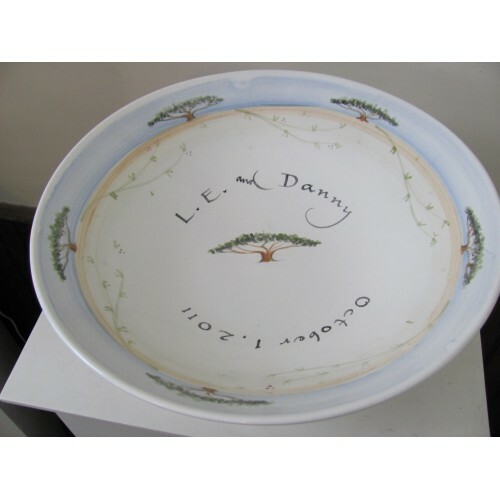 Janno's specialties include unusual and whimsical Tea Pots, Tea Cups, Lamps, Goblets, Children's commemorative Birth Plates and Celebration Pieces to honor weddings, anniversaries and tournament prizes. The studio is open Tuesdays, 11:30- 5, Wed. through Saturday 10am to 5pm. 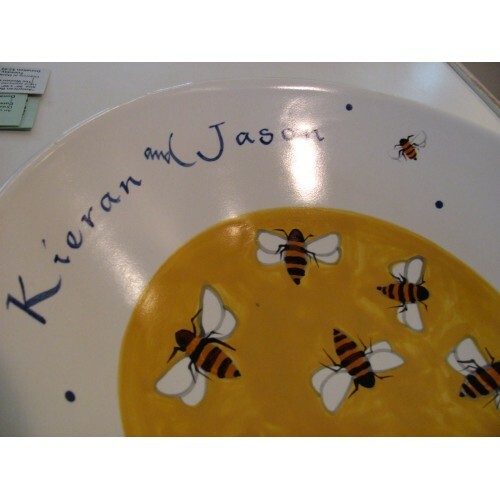 Paint Your Own Pottery: Wed.-Sat. 11-4p.m. 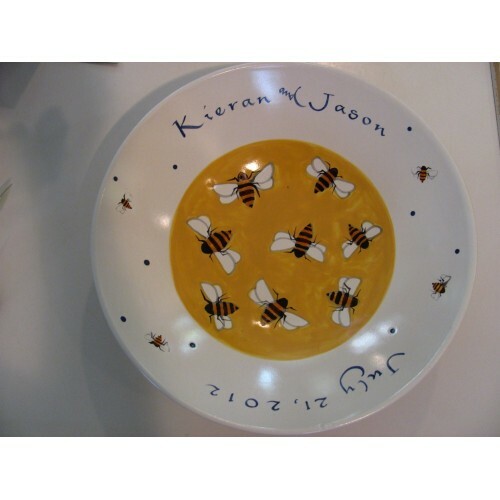 Flower Brook Pottery © 2019.